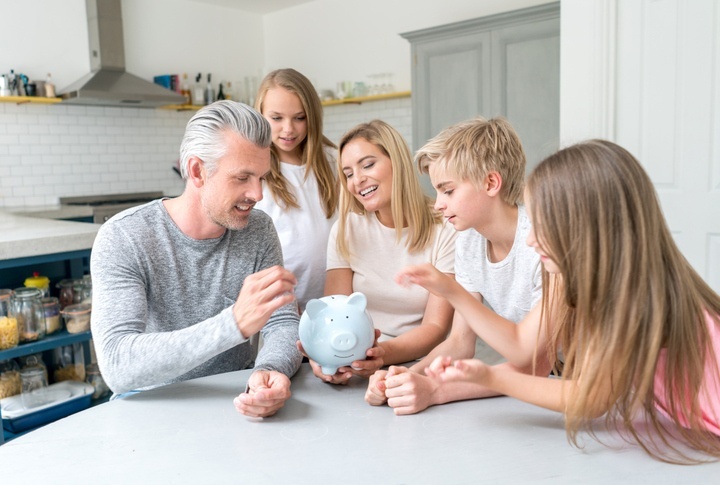 Sit down as a family and come up with your savings goals together. This could be for a vacation, cutting down on the electricity bill, or a new TV for the living room. Make sure the goals are realistic for your budget. Split the family into teams and see who can save money the fastest. Find a way to measure that will keep everyone on equal footing. For added incentive, there could be prizes at the end. For example, the ‘losers’ could be in charge of one of the ‘winner’s’ chores that day, such as unloading the dishwasher or taking the dog for a walk. Find a way to make your savings goal visual. This could mean a coin jar that sits in a prominent place in the home, a thermometer to show where your savings currently sits, or a picture of where you want to go on vacation. The more people see it, the more reminded they are of what they are working towards. One thing can save you money is planning your meals out in advance and your family can be included in this. Have everyone submit their favorite recipes or use weekly coupons to plan meals. Smaller kids can help with grocery shopping while older kids can take some responsibility for the preparation portion of the meal.